Ancient myths and legends tell of a strange artifact. The Crown of Destiny, which gives its wearer the power over his own fate, was long considered lost. Now, for a small group of heroes she's within reach. The Hero and Monster Collection "Crown of Destiny" for Descent: Journeys in the Dark Second Edition, comes with new heroes, monsters and adventures. In order to give these detailed, finely worked figures a safe place outside the game, we designed this foam tray for you. 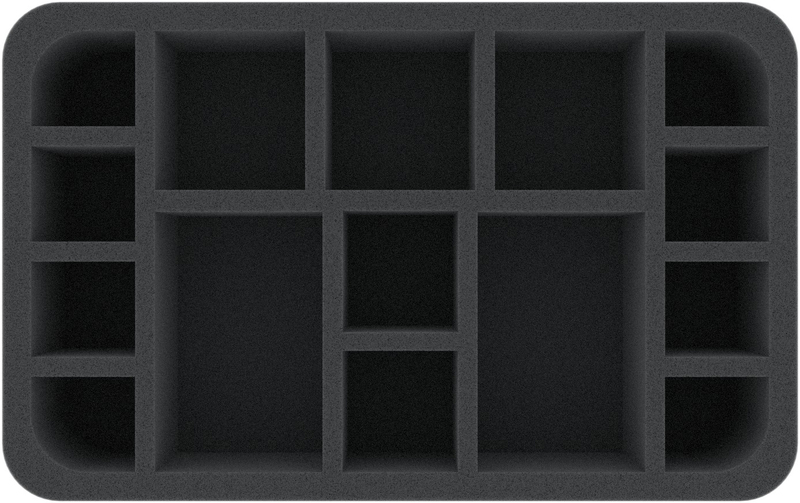 The foam tray offers a customized compartment for all of the 13 miniatures of the expansion. There are two large ones for the two Giants. The three Chaos Beasts will fit into the medium sized compartment. The four Lava Beetles, along with the heroes Corbin, Lindel, Jaes the Exile, and Brother Gherinn, are sorted into the smaller compartments. The miniature-precise cutting prevents the figures from slipping around and colliding during transport. This will protect the colors of painted figures. Sensitive details, such as the scissors of the Lava Beetles, will also remain intact. In addition, the mat provides 2 compartments (40 x 45 mm) for storing miniatures from the Descent Lieutenant packs, or other game material. 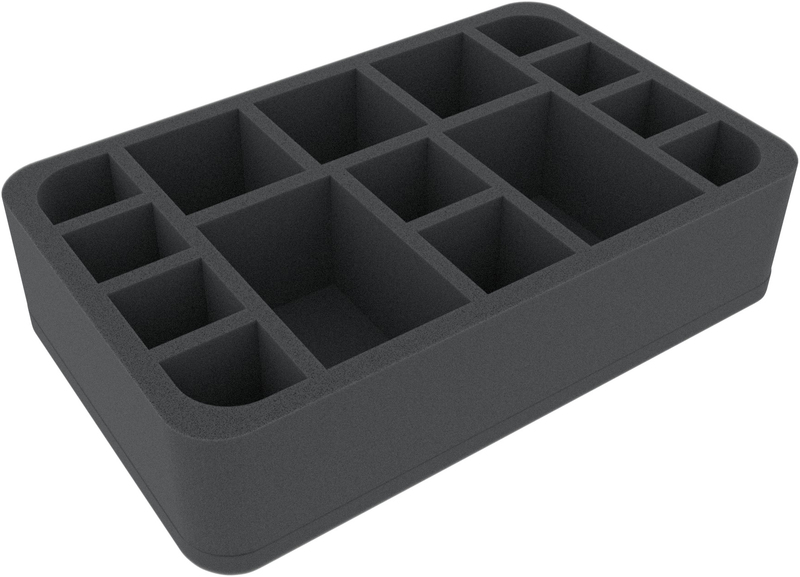 The half-size foam tray measures 275 mm x 172.5 mm x 65 mm. The individual compartments have a usable height of 55 mm. A 10 mm thick foam base adds the mat up to a total height of 65 mm.